CLOSEOUTS. 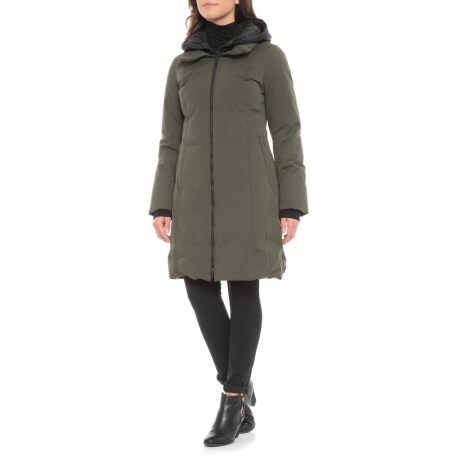 A down and feather insulation blend and a longer cut make the Sandova Jutta jacket a stylish and warm topper for city and country. Available Colors: MOSS, BLACK. Sizes: XS, S, M, L, 2XS.